Like it or not, we have so many devices these days. To get the most out of your devices, you’d better get them powered. In that case, a backup power bank seems quite important and even becomes part of our lives especially when we go out. However, in these days, most of us are still contented with the boring, bland, squarish or rectangular power bank design. But we don’t really need to settle down with that. There are many cool and sleek designs you can find as well, might just take a bit of more time. We decided to do the legwork for you and prepared below collection of power banks. Those powerbanks all have something different features make them outstand from the oridinary ones you can easil find. Unusual shape? Self charging? or Disposable? You tell me which you like most. Extremely compact, the TENDO CHARGE Chargers each feature a pre-charged 1000mAh battery, which is enough to give your smartphone a one-time 30-35% boost in battery life. 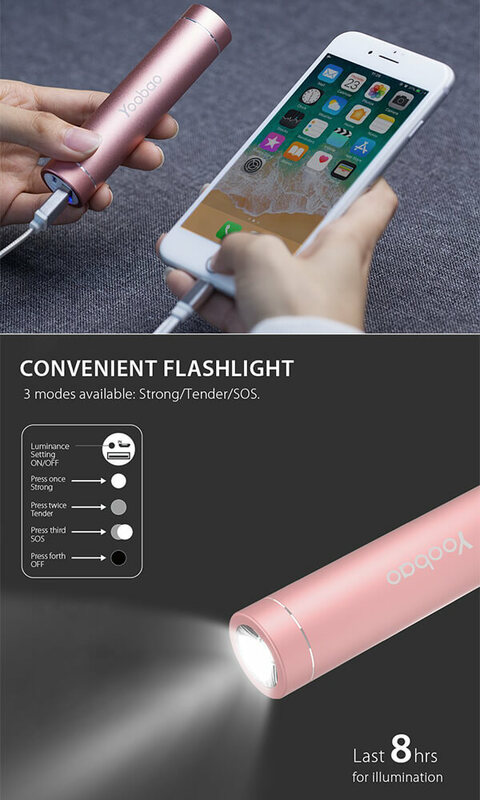 The TENDO CHARGE Charger is complete with a built-in Lightning connector so you don’t even need to carry around an extra cable. 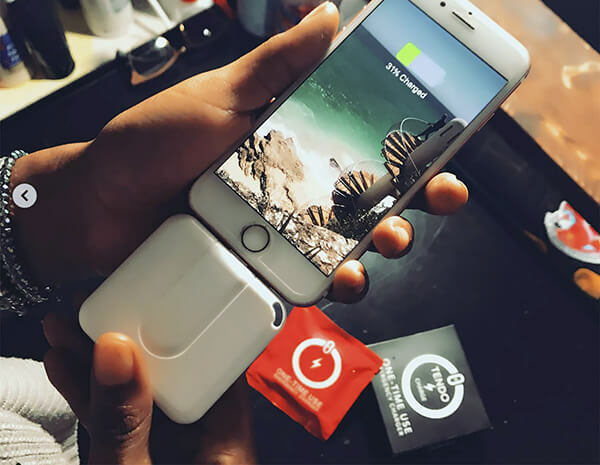 Although it is only one-time use, but the disposable charger is always ready whenever you need it. With 2500 mAh, this slim powerbank can charge iPhone6 up to 120%, iPhone7 80%, Samsung S8 60%. Coming with powerful flashlight, it has three light modes – strong, tender and SOS, meets your different needs. Remarkable Premium Aluminum Lipstick Size with only 3.9*0.9*0.9 inches, easy to put it into the wallet or pocket, super convenient for your daily carry. This portable charger can be re-charged within 2.5 hours with 5V/1A adapter. 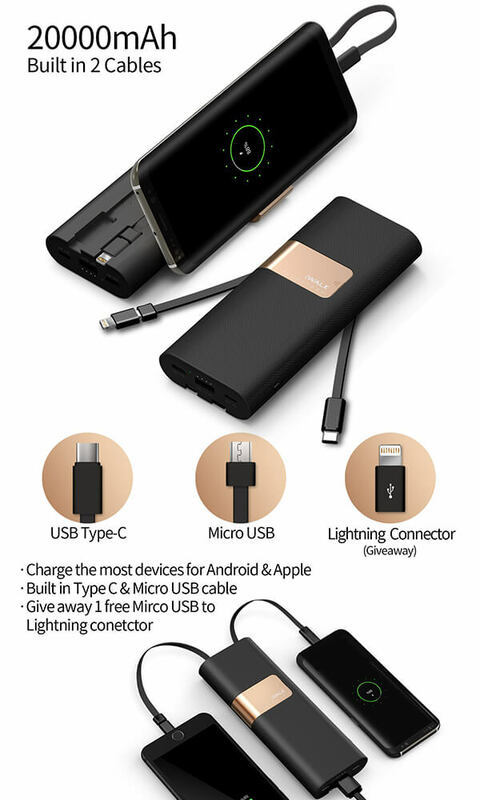 Built in Type C & Micro USB cable, plus one Micro-USB to Lightning connector , and a Standard USB port, with the help of iWALK Quick Charge Power Bank, you can probably charge almost the all the devices on market. Large capacity 20000mAh, charges iPhone 8 about 7 times or Galaxy S8 about 4 times. Strong and Powerful, Charge multiple devices at one time, and Multi Protect safety system ensures complete protection for you and your devices. 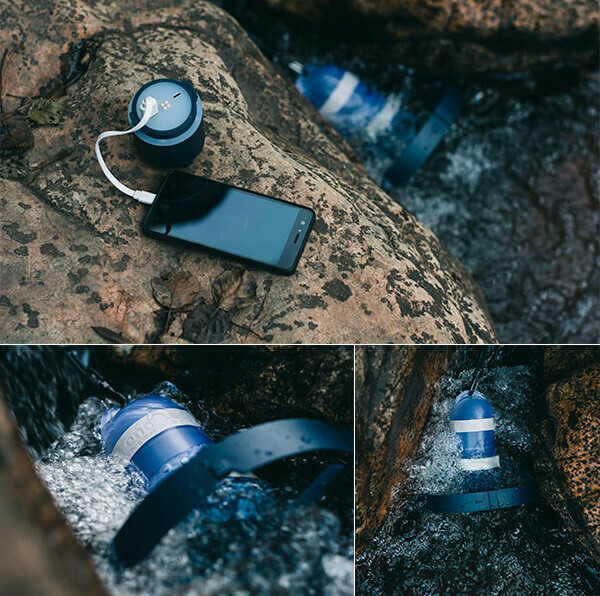 Enomad Uno is a portable water power generator that converts any type of moving water into stored energy to charge any USB connected devices even while you’re off the grid. It is the perfect companion for your fishing, camping, kayaking, canoeing or sailing trip. Enomad Uno works both fresh water and salt water. It’s modular designed battery pack provides usb-power, 5-1 lantern and water-proof lantern. 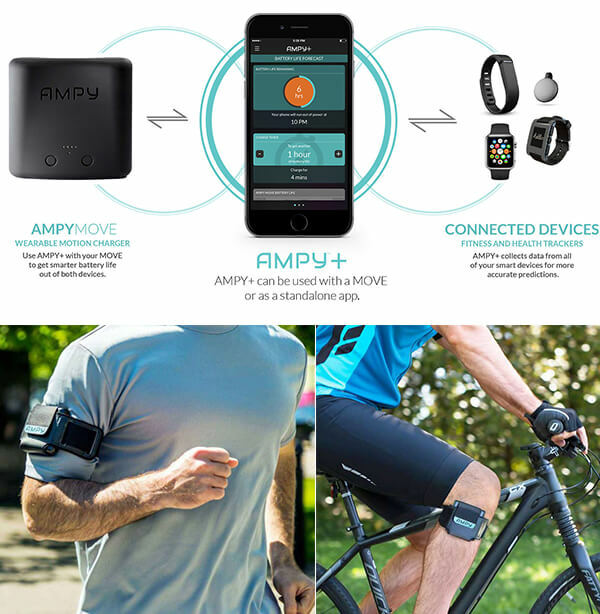 AMPY MOVE, the world’s first wearable motion charger is an ultra portable battery that can charge your device with your body’s movement. Using inductor technology, this clever charger turns kinetic energy into a power source for smartphones and wearables. It has dual charging ports so you can charge your device and also plug AMPY MOVE into the wall if you have accessible power. One hour of exercise will give you an hour on your smartphone with normal use, 5 hours of standby time, and an incredible 24 hours for your smart watch. 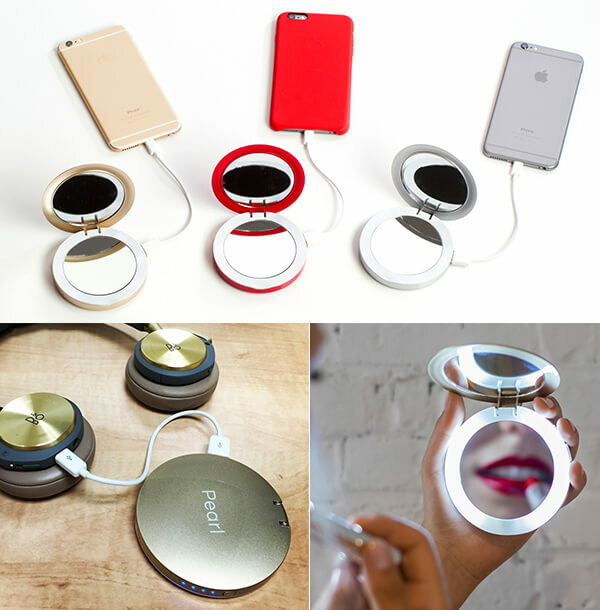 Pearl Compact Mirror Battery Pack features two mirrors including one regular and one that magnifies by three times. It even has a ring-style LED light so you can do a touch up at night. Most important, it allows you to plug in and take full advantage of the 3000mAh battery inside. It’s compatible with any USB device and even features a handy 4 LED battery level indicator on the side. 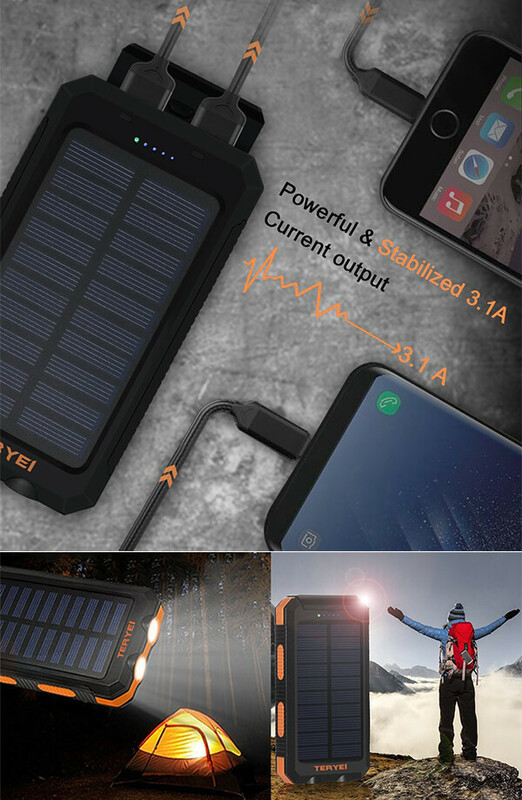 With 15000mAH capacity, Solar Charger Teryei Solar Power Bank is ideal choice for hiking, camping trips or other outdoor activities. Having 4 recharge way (sunshine, USB, adapter and lamp), it can be recharged anywhere and anytime. Moreover, it also has some travel essential features like compass and flashlight. This power bank has nothing special but extremely cute. No matter you are a Usavich super fan or not, you don’t want to miss this adorable rabbit. 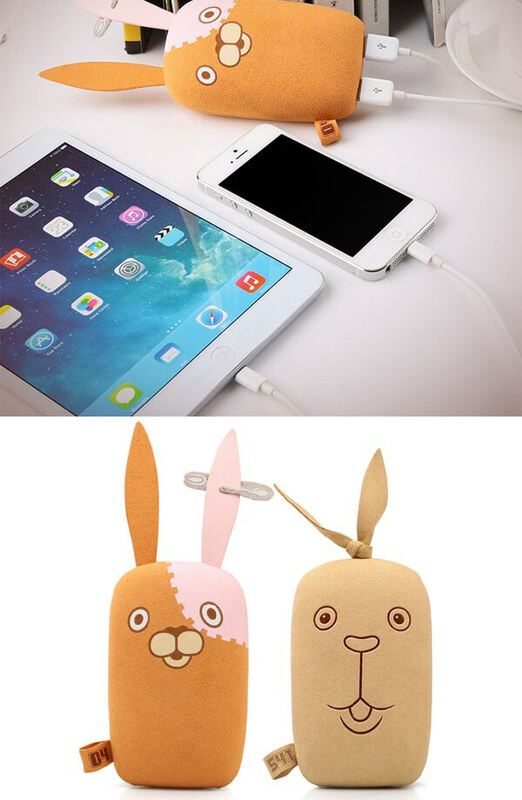 Covered in soft microfiber, it is compatible with iPhone and Android and can charge 2 devices simultaneously.